That’s a direct message to Offset. 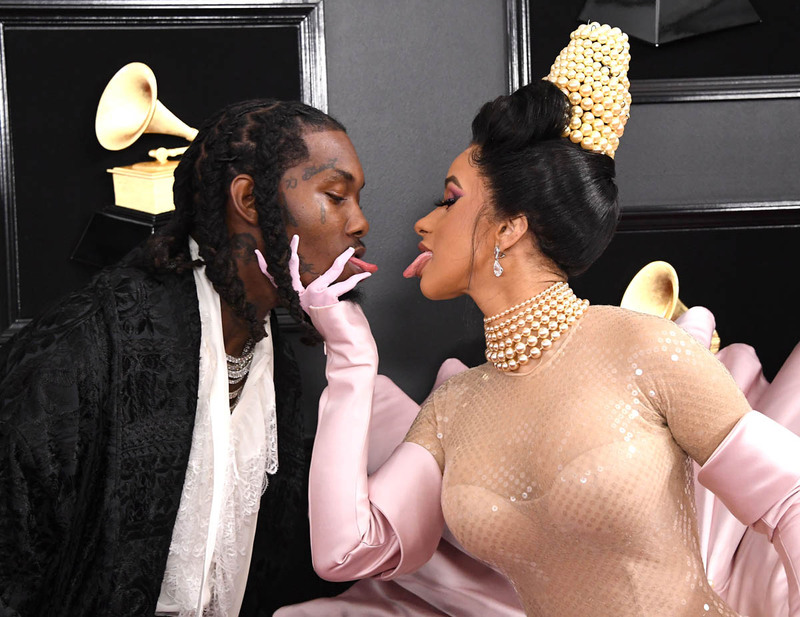 I hate that Offset’s name is in the first sentence of anything I’m writing about Cardi B, let alone a post about her first Best Rap Album win for Invasion of Privacy, her FIRST album. 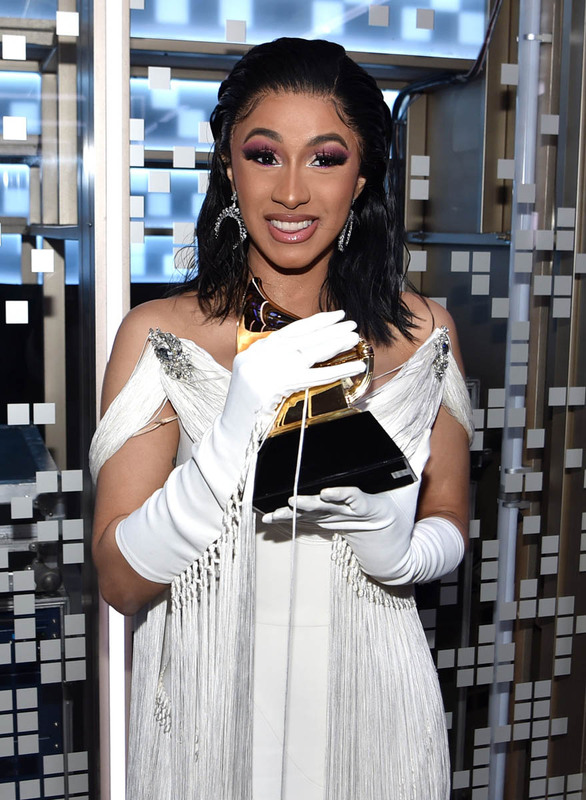 Cardi became the first female solo artist EVER to win Rap Album of the Year at the Grammys (we’ve already established the show has had a women problem). 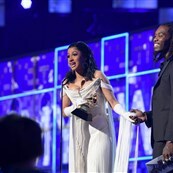 The last time a woman won the category, it was Lauryn Hill with The Fugees 20 years ago. 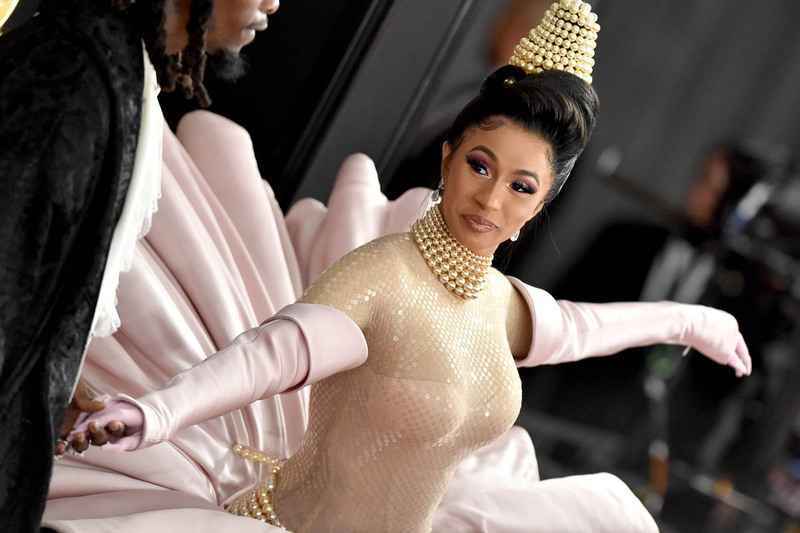 Cardi’s win is a big f-cking deal. 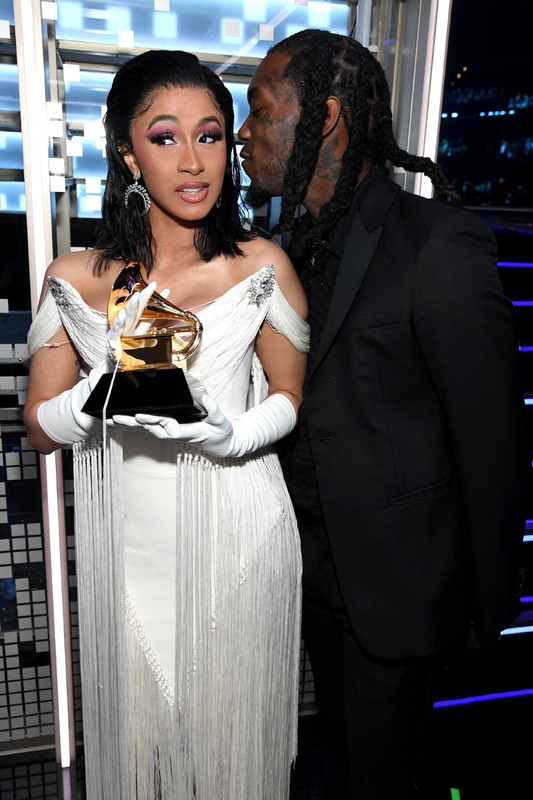 Offset could have whispered some words of encouragement into Cardi’s ear and stepped the f-ck back. If she was nervous, it was on him to realize in the moment that it was NOT ABOUT HIM. 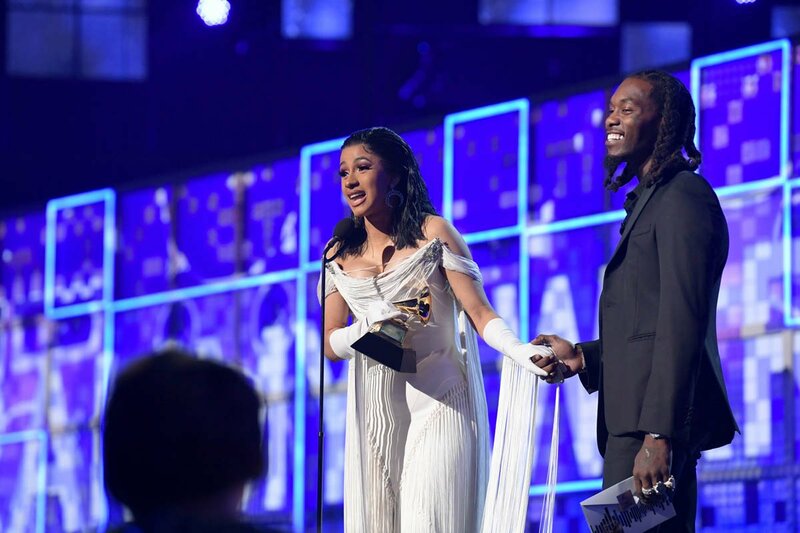 Cardi deserved a few minutes of her own to shine, without Offset hijacking her podium. The obvious and chivalrous (if I’m being generous) thing to do would have been to sit down or at least move out of the goddamn frame. 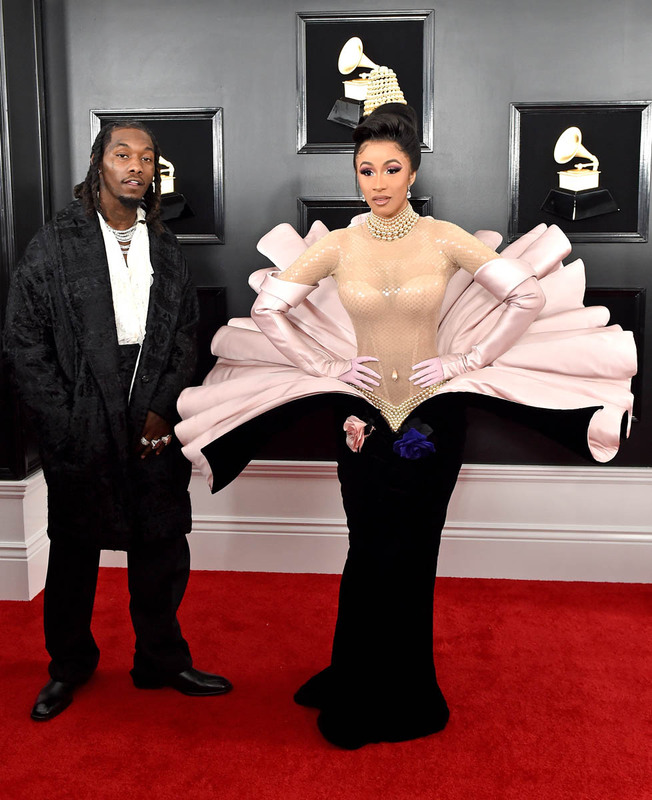 Maybe I’m being more sensitive to Offset commandeering Cardi’s spotlight because the man has done this before. Remember when he literally interrupted her at work to emotionally manipulate her into forgiving him for cheating on her repeatedly? Yeah, he thought we forgot. This is a man who LOVES attention and seems to thrive off of taking shine from his wife instead of letting her bask in it. I’m sure many women can relate to having a man who lets his ego get in the way of being a silent partner of support. A man who can’t handle the fact that his wife is more successful than him or that she dare have a few moments of her own. 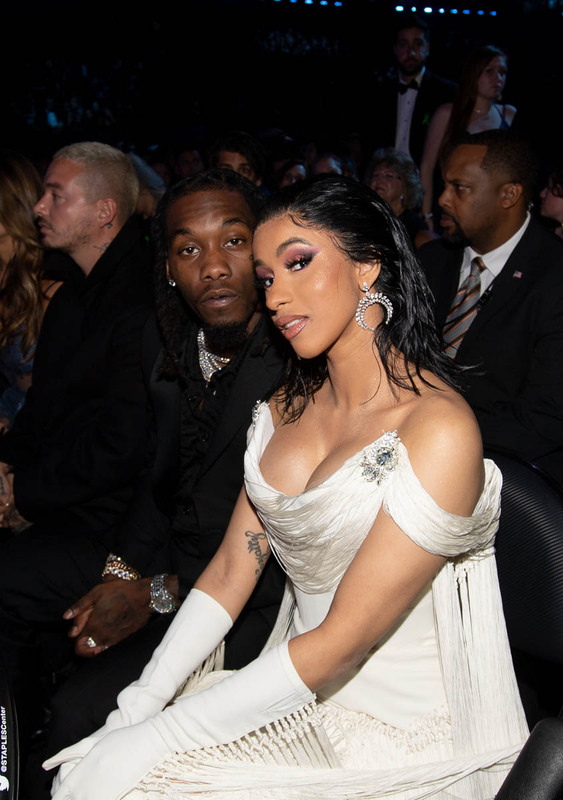 Cardi thanked Offset for encouraging her to finish her album even though she was pregnant. 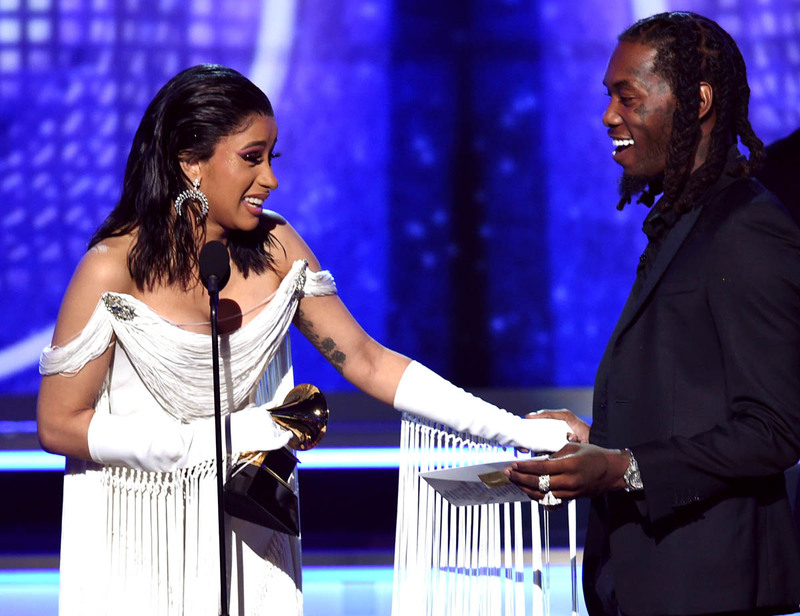 He may be a man who doesn’t mind being the less successful one in a partnership, but he sure didn’t look like it when he was crashing her headlining set at Rolling Loud. And he sure didn’t look like it last night. Halfway through Cardi’s speech Lainey and I were yelling at the TV for Offset to STEP THE F-CK BACK. 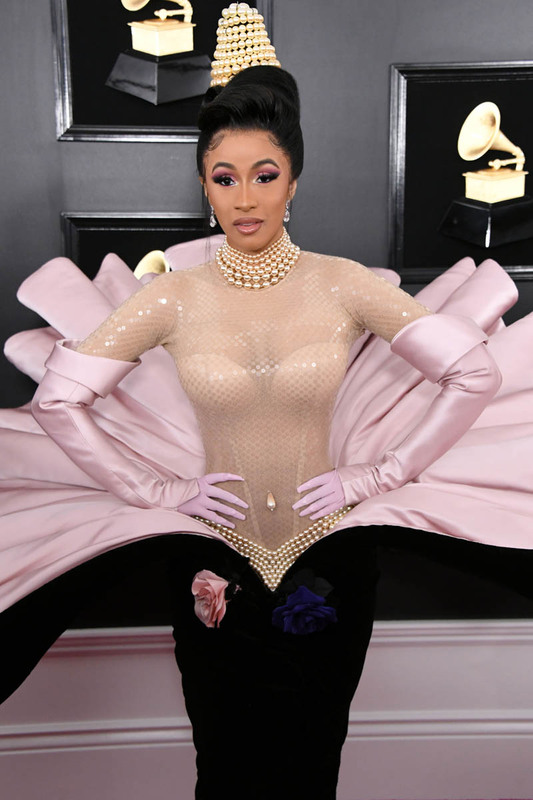 Let’s focus on the part of Cardi’s night that had nothing to do her dumbass lesser half. 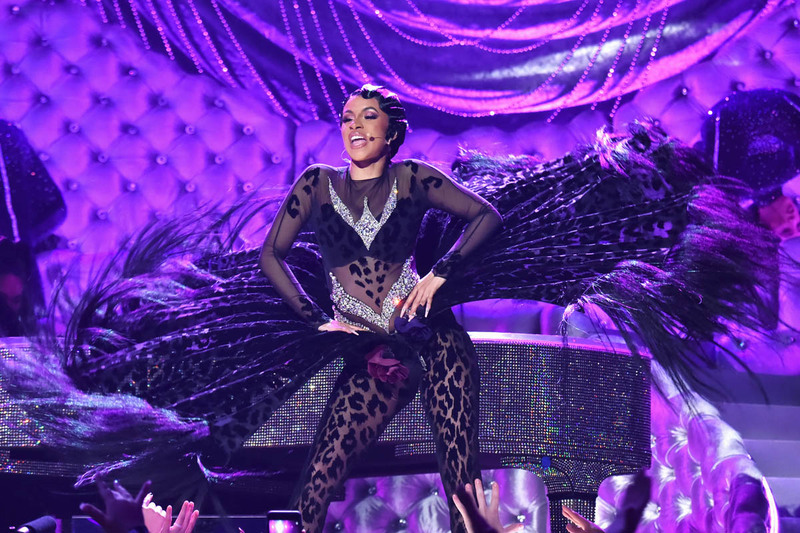 Cardi gave a spectacular performance of “Money” that truly seemed like a culmination of an artist’s growth and the result of hustle, hard work, and tight execution. The performance was the caliber of a Grammy-winning artist. I really hate the comparison game, especially when it comes to women in hip-hop, but I can’t remember the last time I saw a rap performance by a woman that was this beautifully accomplished. Cardi and her team DID THAT. I am so proud of her. Oh, and the answer to the burning question you had during her performance is below.